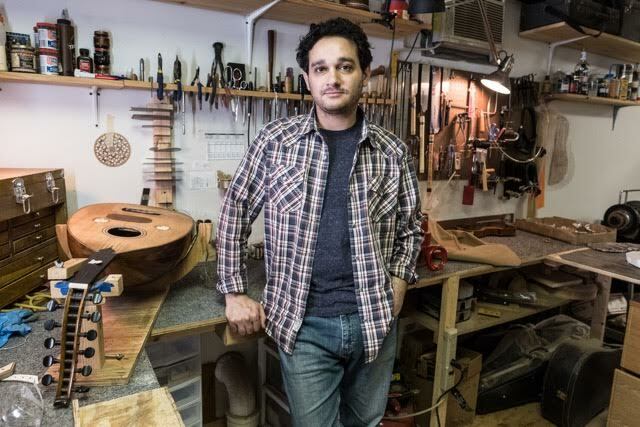 John Vergara is a eclectic luthier and a musician living in the Hudson Valley region of New York. John plays Arabic oud, kanun, classical/Spanish guitar, Flamenco, Cuban/Puerto Rican tres, Puerto Rican cuatro, violin, as well as Metal/Rock guitar. Apart from playing many types of instruments, John's biggest passion and sole focus is making and repairs many types of instruments. He began his journey in luthiery repairing guitars in his teenage years on acoustic and electric guitars. Performing setups, swapping out electronics, pickups and so on. in 2004, John began an apprenticeship for violin making and repair under Joseph Regh. Mr. Vergara established "Lord of the Strings" shop in Beacon, NY in 2013. Today John builds classical guitars, ouds, kanuns, and violins including expert repairs on all of these platforms and more.